One of the downsides of being vegan or vegetarian, if there are any, is eating out with friends, or rather, how challenging it can be to find a restaurant that pleases everyone or a restaurant that caters to your specific dietary needs. 2016 saw a huge growth in vegetarian and vegan friendly restaurants, with all kinds of cuisines joining the green bandwagon. Nowadays, one just needs to walk around downtown to find this kind of restaurant and nowhere this is easier than it is in Bristol. So get dressed, put away ranch style beans substitute you’re thinking about eating and hit the streets. The following are some of the best meat-free restaurants you can find in Bristol. Maitreya is a household name when it comes to plant-based food. Not only it’s one of the few places that can claim that “they did it first” but it’s also one of the coolest, thanks to its open plan kitchen and relaxing atmosphere. Vegetarian food is creative all by itself and yet Maitreya manages to turn already creative dishes into completely original inventions. This restaurant offers both vegetarian and vegan options and filling dishes that will please even the more stubborn members of the “no meal without meat” crowd. The variety, good ambient, impeccable attention from the servers and the delicious food turn Maitreya into quite an experience and while the price is relatively high, it’s more than worth it. 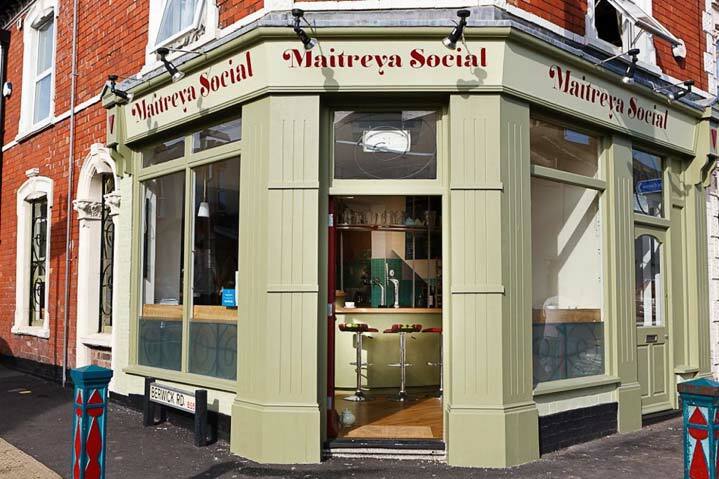 This isn’t a vegetarian restaurant as much as it is a vegetarian friendly restaurant, with a menu that offers options for meat eaters, vegetarians and vegans alike, which makes it an excellent place to visit when you’re out with friends and family. The food is delicious, affordable, varied and, best of all, is cooked quite quickly which really gives you a lot of value for your money, particularly in days where you’re in a rush. 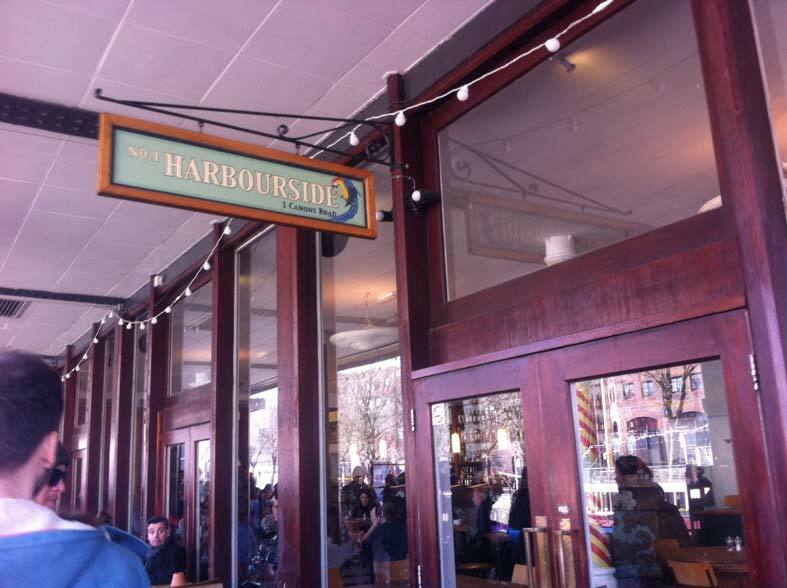 If you’re in no real hurry, don’t worry, as the name implies, No1 Harbourside is a waterside venue perfect to relax while enjoying delicious food and a fantastic view. If going out to eat is as much about the experience as it is about the food, then you’re going to love Roll for the Soul. 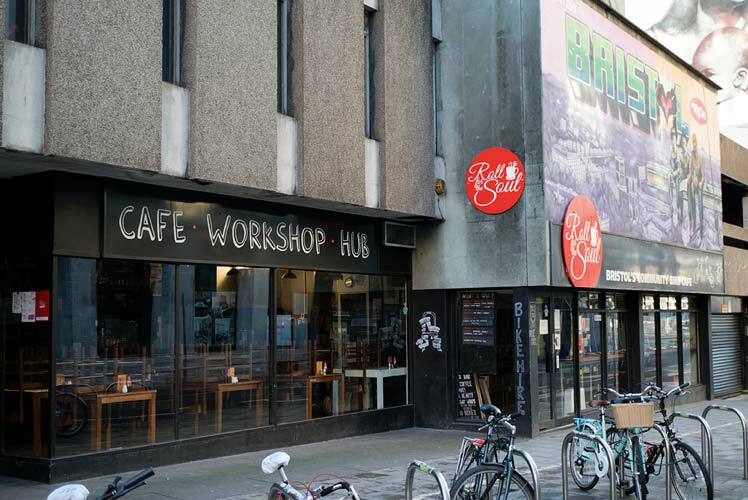 This café doubles as a bike workshop, which makes it one of the most creative and innovative places Bristol has to offer. Though the menu is rather simple, the presentation and the flavours are not. The delicious Mediterranean inspired dishes are filling, inspired and an explosion of colour you’ll want to marvel at forever. If you’re looking for a place that truly reflects Bristol’s spirit and makes unforgettable vegetarian food, this is the place you’ve been looking for. 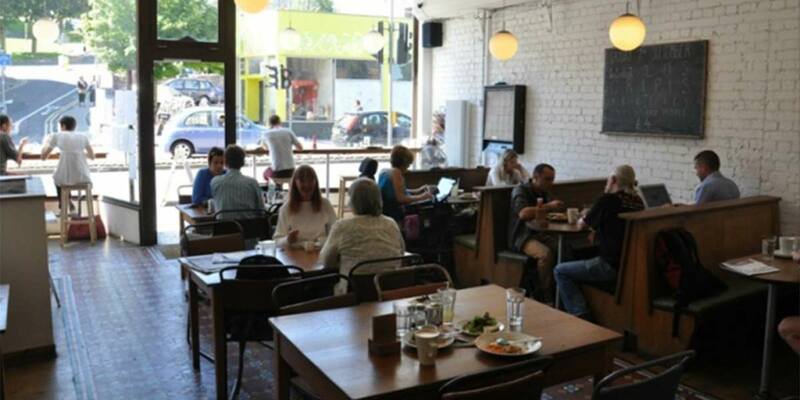 Café Kino is perfect for casual dining with friends and family. The menu is small, but completely satisfying, bringing the taste of home cooked food with a vegetarian twist directly to your table. The menu here is completely vegan, not a scrap of meat in sight, and while this could be a deterrent if you’re out with your non-vegan friends, believe us when we say they won’t mind. 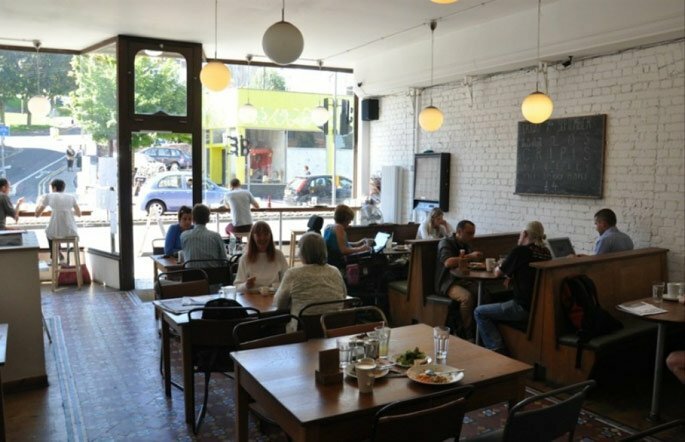 The atmosphere in Café Kino is unlike in any other place, as this cooperative is full of warm and welcoming people that will make you feel at home regardless of whether you’re vegetarian or not. Whether you’re from Bristol or you’re just visiting, make sure to make the time to visit these amazing and delicious restaurants. Is This Bristol’s Best Gin Bar?